London was home to the Beatles from 1963 onwards. 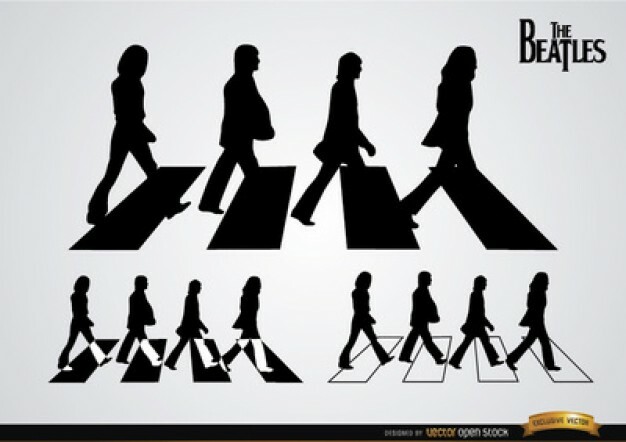 Visit the world famous Abbey road studios and a chance to walk across that famous pelican crossing. Then onto the former home of the asher family where Paul Mccartney wrote yesterday ,’ followed by the the London Palladium where the band’s first live TV performance took place. Over 1.5 million people saw the performance across the UK – this was the beginning of Beatle mania! The tour also takes time to visit the Apple HQ opened by the Beatles in Saville Row and the art gallery where an unknown artist captured John Lennon’s attention – Yoko Ono. 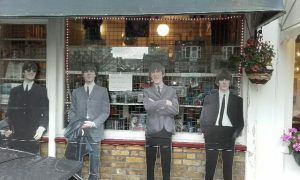 – We will visit the Beatles memorabilia shop here you can purchase original Beatles Albums and other goodies. During your private escorted taxi tour other fascinating hot spots and stories will be related including the Rolling Stones, The Who, Jimmy Hendrix and other famous 60’s and 70’s artists. A private tour not to be missed! The tour departs daily at 10am and 2pm. Your guide for the day will collect from your central London hotel and also drop you back off at the end of tour. An adult must accompany children. We class a child as 18 and under. Cancelled Tours will be subject to a small administration fee. Customers are responsible for their own and their children’s safety whilst outside the cab. Please inform your guide if you wish to be dropped at an alternative London location at the end of the tour. 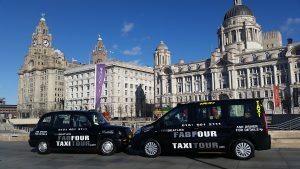 We can recommend a visit to Liverpool for a unique taxi tour. Copyright ©2013-2014 Top Class Black Cab Tours Created By Nationwide Computer Service. . Managed by iReplace	Unite Theme powered by WordPress.